Jakayu Biljabu grew up in Manyjilyjarra country and her bold paintings on canvas celebrate the sandhills, claypans and salt lakes of this desert landcape. She works through the recently established art centre of Martumili. Governed by Martu people, the centre is located in Newman and services a number of communities in the Great Sandy, Little Sandy and Gibson Deserts that have previously had little representation. Biljabu first exhibited in 2006 and, like many artists who have come to art making later in life, has an extraordinary energy, producing works of great vibrancy. Minyi Puru , 2008 is a celebration of colour on a grand scale. Its loose iconography and amazing array of colours reveal Biljabu’s assured hand and intimate knowledge of the country depicted. Minyi Puru is a map of where Biljabu was born and the area around Nyilangkurr where she spent time as a child. The undulating sandhill country, to the right of the work, includes the site of Yilkarr, the vast salt lake that is her father’s resting place. The remainder of the work is dominated by pink roundels that show the claypan country of Wantili. An extensive knowledge of these waterholes would have been vital for Biljabu and her family, as they lived off the land at a time when the number of non-Aboriginal people in the region was increasing. This influx of outsiders began in the early 1900s with the construction of the Rabbit-Proof Fence, followed in 1906 by the Canning Stock Route, which travels through Manyjilyjarra country. The nearby community of Jigalong had been established in 1907 as a maintenance and ration store for workmen maintaining the fence and later a camel-breeding site. In 1947 Jigalong was granted to the Apostolic Church, which used it as a Christian mission. Biljabu’s father was cautious of these newcomers, which is not surprising given some of the methods employed by Alfred Canning to chart the stock route and the forcible removal of children from their families at Jigalong, by the ‘protector’ of Western Australian Aborigines, A. O. Neville. Biljabu recalls some kindness from these outsiders, with drovers working along the stock route providing her family with bullock meat. However, Biljabu and her extended family waited longer than most before leaving their home country and moving to Jigalong. In 1963, when they did make this move, Biljabu was married with three children and the region was in the midst of an extreme drought. Biljabu became a baker at the mission and several other stations, including Strelley Station, before moving to the Punmu community in 1982, where she continues to live. Cultural maintenance is central to Biljabu’s art practice, and through her art she is actively teaching her granddaughters their history. Recently, Biljabu was involved in Ngurra Kuju Walyja — One Country One People — The Canning Stock Route Project . 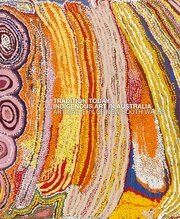 The collection of works from this major project is now held by the National Museum of Australia and, in conjunction with oral histories, film and photography, formed the acclaimed exhibition Yiwarra Kuju: the Canning Stock Route, which opened at the National Museum of Australia in 2010 and toured to other major Australian venues.